Enjoy the best inspirational, motivational, positive, funny and famous quotes by Anthony H. Cordesman. Use words and picture quotations to push forward and inspire you keep going in life! 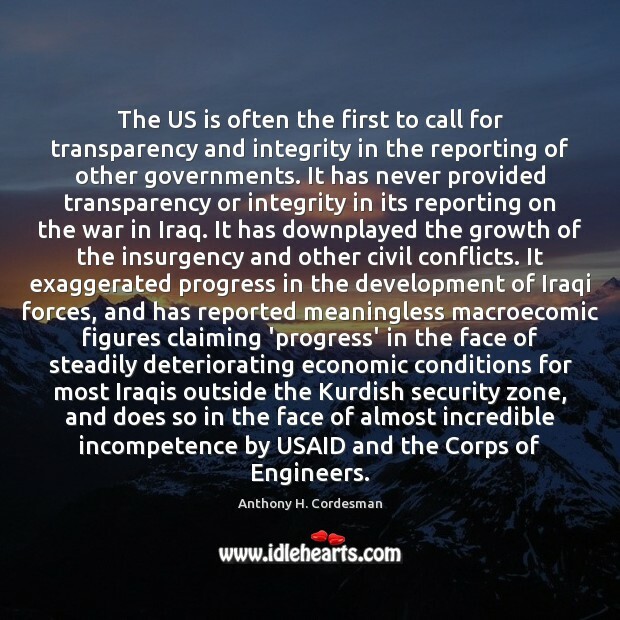 The US is often the first to call for transparency and integrity in the reporting of other governments. It has never provided transparency or integrity in its reporting on the war in Iraq. It has downplayed the growth of the insurgency and other civil conflicts. 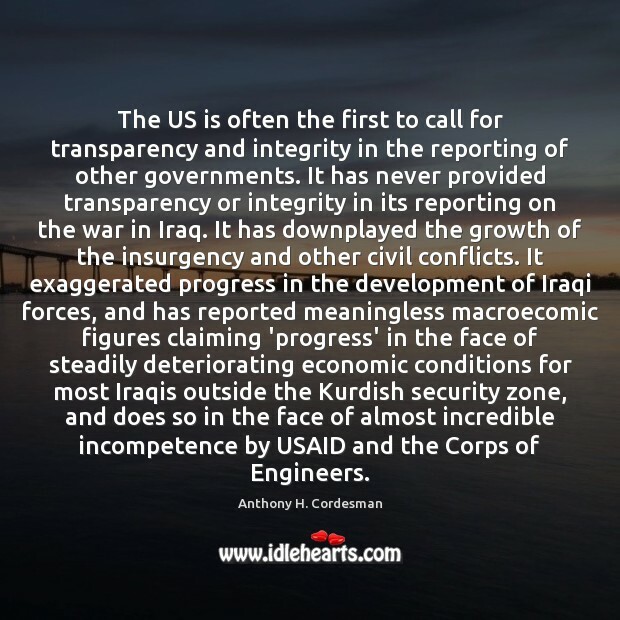 It exaggerated progress in the development of Iraqi forces, and has reported meaningless macroecomic figures claiming 'progress' in the face of steadily deteriorating economic conditions for most Iraqis outside the Kurdish security zone, and does so in the face of almost incredible incompetence by USAID and the Corps of Engineers. 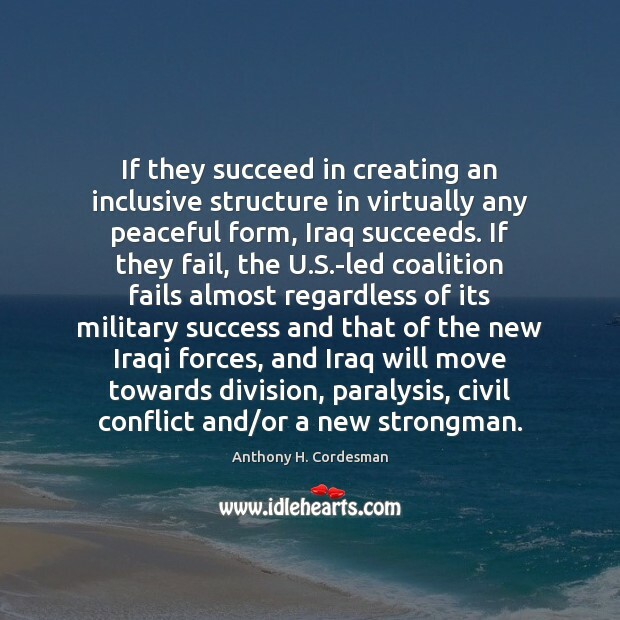 If they succeed in creating an inclusive structure in virtually any peaceful form, Iraq succeeds. If they fail, the U.S.-led coalition fails almost regardless of its military success and that of the new Iraqi forces, and Iraq will move towards division, paralysis, civil conflict and/or a new strongman. 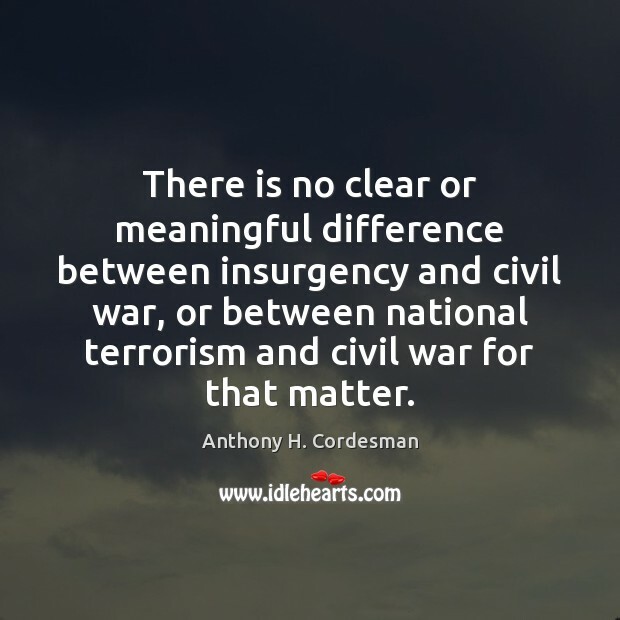 There is no clear or meaningful difference between insurgency and civil war, or between national terrorism and civil war for that matter.